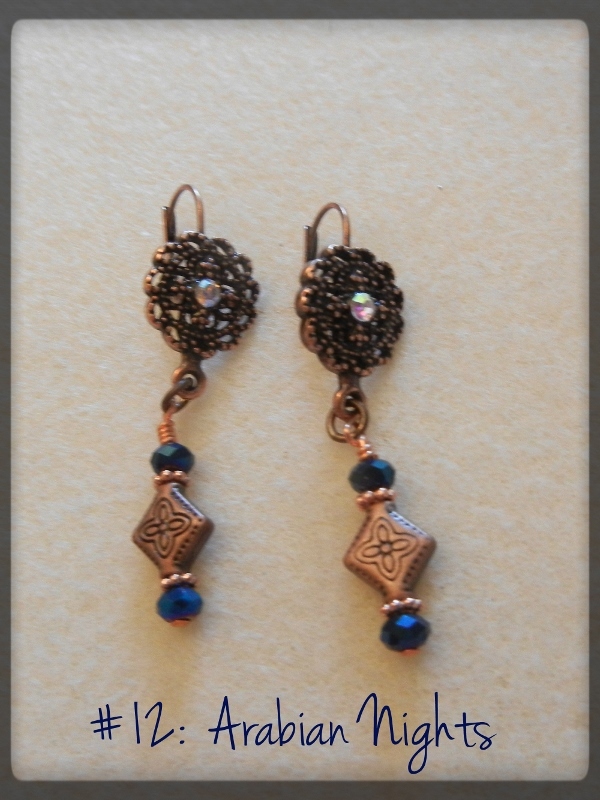 Antique copper diamond-shaped bead with striking blue beads on top and bottom. Copper leverbacks. Length is 1-3/4".